Samsung Electronics today announced its new QLED TV series – Q9, Q8, and Q7 – during the company’s 2017 product unveiling, held at the Keep Memory Alive Event Center in Las Vegas. With picture quality remaining a top priority for consumers around the world – especially as the average TV continues to increase in size, Samsung’s 2017 QLED TVs represent yet another leap forward. 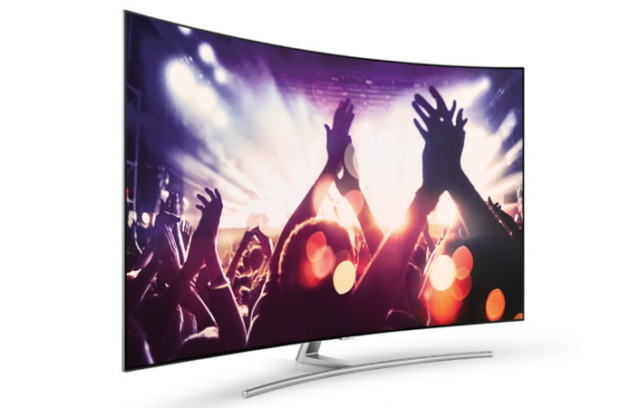 The new lineup offers dramatically improved color performance, displaying DCI-P3 color space accurately and – in another world first for Samsung, QLED TVs are capable of reproducing 100 percent color volume. This means they can express all colors at any level of brightness – with even the subtlest differences visible at the QLED’s peak luminance – between 1,500 and 2,000 nits. Color volume presents color that can be expressed at different levels of brightness. For example, a leaf can be perceived as different colors from yellowish green to turquoise, depending on brightness of the light. Samsung QLED TV display can capture even subtle differences in color pertaining to brightness. This kind of color detail cannot be easily depicted in the traditional 2D color space models. This breakthrough is a result of Samsung’s adoption of a new metal Quantum Dot material – making it possible for the TV to express a significantly improved range of color with much greater detail compared to conventional TVs. The new Quantum dots allow Samsung QLED TV to express deep blacks and rich detail regardless of how light or dark the scene is, or whether the content is being played in a brightly lit or darkened room. Furthermore, Samsung QLED TV can generate peak luminance as high as 1,500 to 2,000 nits, with no impact on its ability to deliver accurate and impeccable color. With its metal alloy Quantum Dot technology, brightness no longer has to be compromised to boost color performance, which is also maintained regardless of how wide the viewing angle may be. Samsung also used today’s product unveiling to highlight new design features which resolve some of the most significant TV viewer pain points. The improvements to design and usability in the QLED TV series include a single, transparent ‘Invisible Connection’ cable, through which all of the peripheral devices can be gathered and connected to the TV. This is in addition to the ‘No-gap wall-mount’, which makes it quick and easy to affix the TV flush against the wall. Or, for those who prefer not to mount the TV, Samsung is offering two new stands designed to elevate and showcase the QLED TVs as beautiful home accessories all by themselves. Consumers can choose either the ‘Studio Stand’, which resembles an easel with a painting, or the sleek ‘Gravity Stand’, which when attached to the TV, resembles a contemporary sculpture. In 2017, Samsung is focused on the continued evolution of its much lauded Smart TV offering, giving people the simple, unified user experience they want for all their entertainment content – wherever and whenever they want it. For example, with the Samsung Smart Remote, consumers can control most connected TV devices from a single source, with one device. This year, the ‘Smart Hub’ interface has been extended to smartphones through Samsung’s new and improved ‘Smart View’ app, which now provides a comprehensive overview of all available content on the app’s home screen. Thus, consumers can use their mobile device to select and start their favorite live TV programs and video-on-demand services – on their TV, through the ‘Smart View’ mobile app. Consumers can also choose to receive alerts on their mobile devices about their favorite content, regarding for example, show times and availability. Samsung also introduced two new Smart TV services, including ‘Sports’, which shows a customizable summary of a customer’s favorite sports team and its recent and upcoming games, and ‘Music’, which can identify songs as they are being played live on a TV show, among many other features. More than 200 journalists from around the world participated in Samsung’s product unveiling event to experience Samsung QLED TV’s picture quality and usability first-hand. Consumers attending CES 2017 will be able to view all these exciting innovations, and much more, on the show floor from the 5th of January onwards.